Please: Include the item number, item name and your name / address for shipping with phone number . Our winners notice to you may be returned as spam so please include your phone number with your email bid so we may contact you. Your bid must be at least $1.00 more than the opening or last bid. "ALL AUCTIONS CLOSE EVERY WEDNESDAY NIGHT 10:00 PM EASTERN TIME"
Note: Winning bidders who do not claim their items are recorded in our database. Multiple offenders will no longer be permitted to bid. This is his full performance and explanation of his routiine. Detailed instructions. 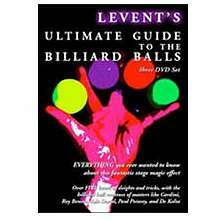 This three DVD set offers everything you need to know about Billiard Ball Magic. 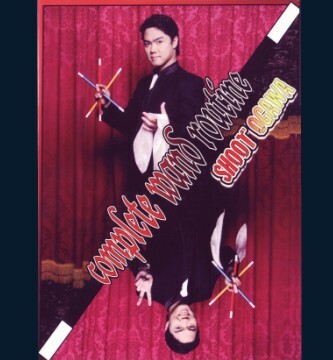 Five hours of material with added secrets, See the Roy Benson and Cardini routines performed in detail by Levent. Card after card is produced from the hand as if from thin air. In the past this technique required a long time to master. Now with this special gimmick and cards you can produce cards at the fingertips without long tedious practice time. Crads are super thin. 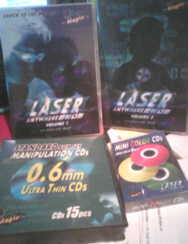 A set of 15 manipulation CD's 0.6 thick and a set of 6 mini CD's and Volume 1 and 2 of Lasers CD Manipulation DVD. Everything together retails for over $140.00 . 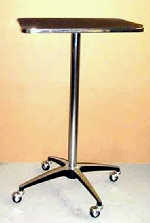 DELUXE ROLL ON SIDE TABLE - The perfect roll on side table! Lightweight, strong, and durable, sets up in moments. Table top is 18" x 24" covered with tough vinyl for long wear. Trimmed chrome "T" molding. Aluminum flange tightens with a thumb screw to the chrome column. The Column has a swaged bottom to snugly fit into the aluminum pedestal. Complete with hooded ball casters that are easily unscrewed if you desire. 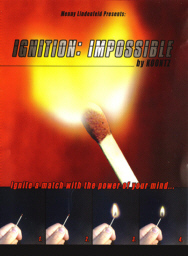 MN43599 IGNITION IMPOSSIBLE 2.0 AND EXTRA HEAD - Remove a match from a matchbox and hold it with your fingertips. Gaze at the match and demonstrate your supernatural powers by causing the match to ignite all by itself. Additionally you can cause the match to first produce smoke and only then to ignite. * Regular match * Works with most common matches * No rubbing, striking or any suspicious moves * Ignite the match at your command * Very easy to use * Electronic hidden gimmick that does all the work for you * Now with replaceable gimmick head Because this item utilizes real fire, it cannot be sold to anyone under the age of 18. MN38294 PARASOL 24 INCH GREEN & WHITE AUTO OPEN - This beautiful 2 color 24 inch parasol is perfect for production. Quality made of vinyl and metal and made to auto open when produced. MN38293 PARASOL 24 INCH GREEN & WHITE AUTO OPEN - This beautiful 2 color 24 inch parasol is perfect for production. Quality made of vinyl and metal - No buttons to push or catches to release. MN38292 PARASOL 24 INCH GREEN & WHITE AUTO OPEN - This beautiful 2 color 24 inch parasol is perfect for production. Quality made of vinyl and metal - No buttons to push or catches to release. MN38291 PARASOL 24 INCH GREEN & WHITE AUTO OPEN - This beautiful 2 color 24 inch parasol is perfect for production. Quality made of vinyl and metal - No buttons to push or catches to release. MN38289 PARASOL 24 INCH RED& WHITE AUTO OPEN - This beautiful 2 color 24 inch parasol is perfect for production. Quality made of vinyl and metal - No buttons to push or catches to release. MN38286 PARASOL 24 INCH RED & WHITE AUTO OPEN - This beautiful 2 color 24 inch parasol is perfect for production. Quality made of vinyl and metal and made to auto open when produced. MN38279 PARASOL 16 INCH LIGHT PINK AUTO OPEN This beautiful solid color 16 inch parasol is perfect for production. Quality made of vinyl and metal and made to to auto open when produced. MN38278 PARASOL 16 INCH LIGHT PINK AUTO OPEN This beautiful solid color 16 inch parasol is perfect for production. Quality made of vinyl and metal and made to to auto open when produced. MN38277 PARASOL 16 INCH DARK BLUE AUTO OPEN - This This beautiful solid color 16 inch parasol is perfect for production. Quality made of vinyl and metal and made to to auto open when produced. MN38276 PARASOL 16 INCH DARK BLUE AUTO OPEN - This beautiful solid color 16 inch parasol is perfect for production. Quality made of vinyl and metal and made to to auto open when produced. MN38275 PARASOL 16 INCH DARK BLUE AUTO OPEN - This beautiful solid color 16 inch parasol is perfect for production. Quality made of vinyl and metal and made to to auto open when produced. MN38270 PARASOL 16 INCH LIGHT BLUE AUTO OPEN -This beautiful solid color 16 inch parasol is perfect for production. Quality made of vinyl and metal and made to to auto open when produced. MN38267 PARASOL 16 INCH LIGHT BLUE AUTO OPEN - This beautiful solid color 16 inch parasol is perfect for production. Quality made of vinyl and metal - made to to auto open when produced. ST38266 PARASOL 16 INCH PINK AUTO OPEN - This beautiful solid color 16 inch parasol is perfect for production. Quality made of vinyl and metal and made to to auto open when produced. 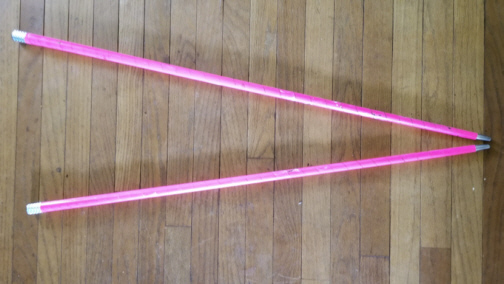 ST38265 PARASOL 16 INCH PINK AUTO OPEN This beautiful solid color 16 inch parasol is perfect for production. Quality made of vinyl and metal and made to to auto open when produced. ST38264 PARASOL 16 INCH PINK AUTO OPEN - This beautiful solid color 16 inch parasol is perfect for production. Quality made of vinyl and metal and made to to auto open when produced. ST38263 PARASOL 16 INCH PINK AUTO OPEN - This beautiful solid color 16 inch parasol is perfect for production. Quality made of vinyl and metal and made to to auto open when produced. ST38261 PARASOL 16 INCH PINK AUTO OPEN - This beautiful solid color 16 inch parasol is perfect for production. Quality made of vinyl and metal and made to to auto open when produced. MN38259 PARASOL 16 INCH RED AUTO OPEN - This beautiful solid color 16 inch parasol is perfect for production. Quality made of vinyl and metal - made to to auto open when produced.